Come see us at Space Tech Expo 2014! 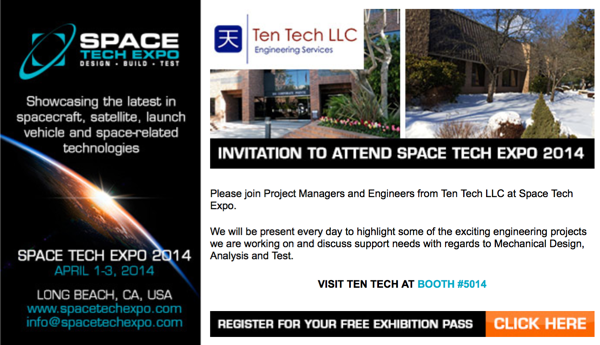 Ten Tech LLC will be exhibiting at Space Tech Expo 2014 in Long Beach, April 1-3. Come see us at booth 5014!